This is a place for people to post any cool Punk Collectibles (Flyers, Posters, Rare Records etc.). 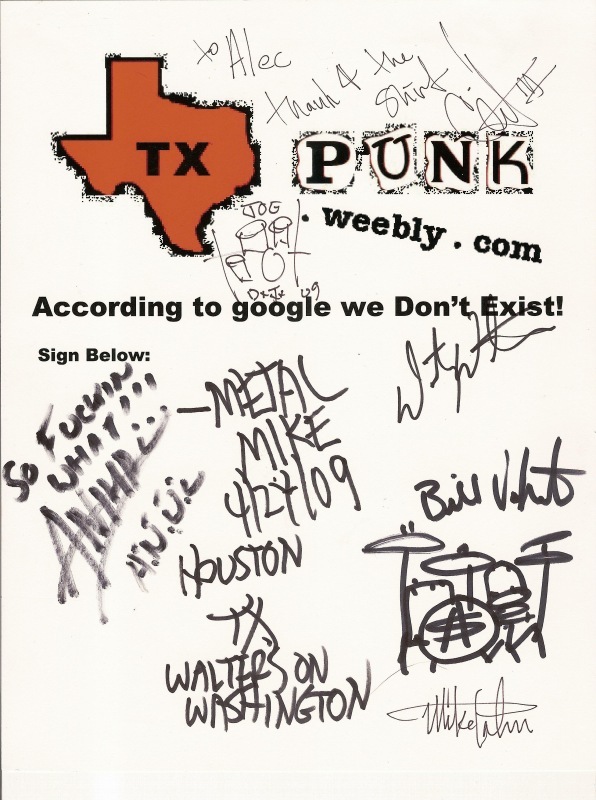 You can also check back to watch the autographs on our TX Punk signed Collection grow! Note: Next year(2010) there won't be any autograph shirts, I'm too lazy/forgetful about getting them signed. 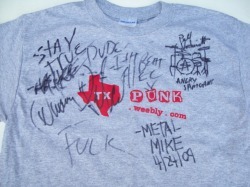 As of July 11th The top shirt has been autographed by: "Metal" Mike, Bill Vockeroth, Duane Peters, and Animal.